object size: 10 3/4 x 7 7/8 x 1/4 in. 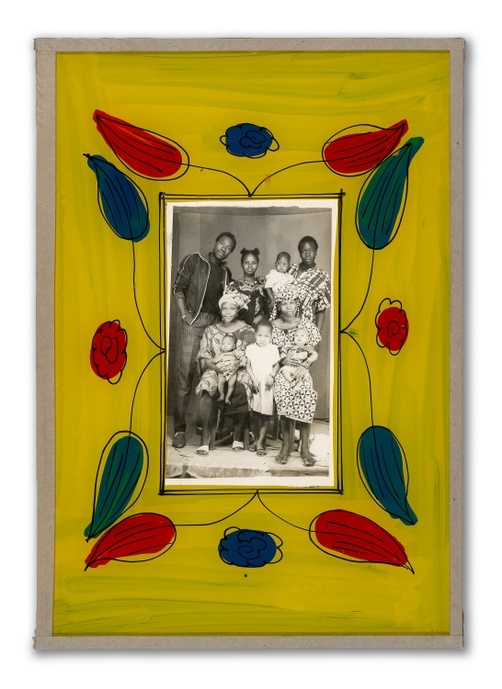 Malick Sidibé began making photographs when portrait photography was understood as a a way to express status both in the present and as a memento for posterity. An idea that originated with the portraiture of medieval and Renaissance Europe, when royalty was painted surrounded by their wealth and treasures, this idea reached Mali through Western occupation and colonization and was transformed into its own genre there. In the 1950s, Sidibé was commissioned to photograph people just after they had bought new clothes or had their hair done in a new fashion— the vocabulary of importance for people in the capital, Bamako, at the time. However, in the 1960s and beyond, many young people in Bamako wanted to align themselves with the world outside Mali. They looked toward popular culture in the United States and Europe as an emblem of progress. Sidibé felt a genuine connection with these young people and saw the energy in their changing worldviews. They invited him to their parties, and he was able to record moments of their lives that were never before captured with a camera. His portfolio is stocked with photos of young Bamakoise hanging out or dancing, alongside studio portraits of the same men and women wearing traditional clothing. It was important to him that his studio be a welcoming, social center for all facets of Bamakoise life.